Tagbilaran , officially the City of Tagbilaran and sometimes referred to as Tagbilaran City, is a city in the Visayas group of islands in the Philippines. It is the seat and component city of the island province of Bohol with a population of 105,051 as of 2015 census. In the 2016 electoral roll, it had 59,949 registered voters.. Encompassing a land area of 32.7 km2 (12.6 sq mi), with a coastline of 13 km (8.1 mi) on the southwestern part of the island, the city shares its boundaries with the towns of Cortes, Corella, and Baclayon. 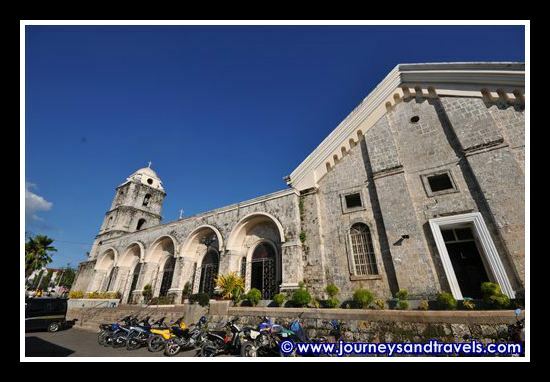 Tagbilaran is the principal gateway to Bohol, 630 km (390 mi) southeast of the national capital of Manila and 72 km (45 mi) south of the regional capital, Cebu City. A hundred years before Spaniards arrived in the Philippines, the settlement which eventually became Tagbilaran was already involved in trading with China and Malaya. This early settlement had contact with the Spaniards in 1565, when the Spanish conquistador Miguel López de Legazpi and the native chieftain Datu Sikatuna pledged peace and cooperation through the famous blood compact. (San Jose de) Tagbilaran was established as a town on 9 February 1742, by General Don Francisco Antonio Calderón de la Barca, Governor of the Visayas, who separated it from the town of Baclayon. The town was dedicated to St. Joseph the Worker. Since then it was part of the province of Bohol until it became a chartered city on 1 July 1966, by virtue of Republic Act No. 4660. The city was occupied by the United States during the Philippine-American War and by Imperial Japan during World War II. 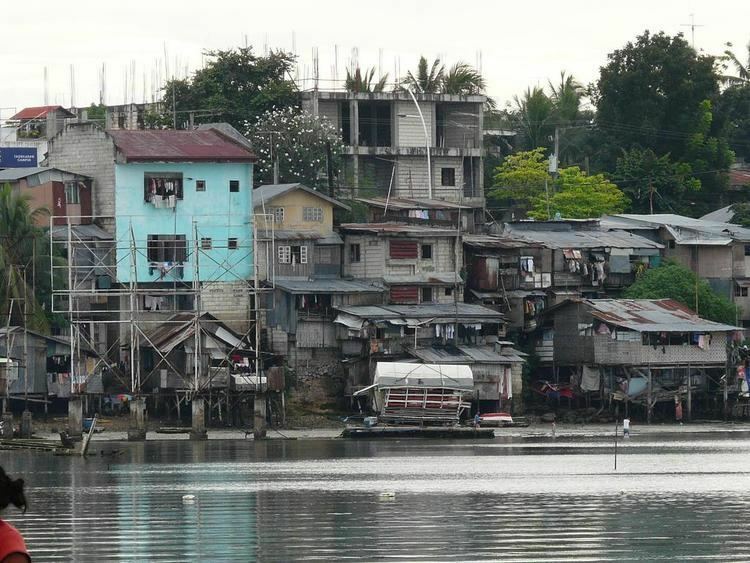 Sitio Ubos (Lower Town) is Tagbilaran's former harbor site and is considered to be the city's oldest portion, having been a busy trading center since the seventeenth century until the early twentieth century. As such, the place houses the oldest and largest number of heritage houses in Bohol. Sitio Ubos declined as a major port towards the end of the Spanish era when the causeway to Panglao Island was constructed. Since then, the area lost its former glory and its old houses were either demolished or neglected. In 2002, in recognition of its cultural and historic significance, Sitio Ubos was declared a "Cultural Heritage Area". Some of the surviving heritage houses to this day include the Rocha–Suarez House, Rocha House, Hontanosas House, Beldia House, and Yap House. One of the most important events in Philippine history (immortalized on canvas by the famous Filipino painter Juan Luna) was the blood compact between Datu Sikatuna, a local native chieftain, and Captain Miguel López de Legazpi, the Spanish explorer and colonizer. It took place in the coast of Bool, now a district of Tagbilaran, on 16 March 1565, a day after Legazpi and his crew of conquistadores on four ships chanced upon the shores of Bool during their trip to the province of Butuan from Camiguin Island because of strong southwest monsoon winds and low tide. On that day, 16 March 1565, Legazpi with Fray Andres de Urdaneta and some of his crew set foot on land for an audience with the local chieftain Sikatuna. The two bands of different race and creed met a few hundred meters from the beach and, after a few pleasantries, the Basque seafarer and the chieftain of Bohol sealed and strengthened their treaty of friendship in a historic blood compact. Sikatuna and Legazpi each made a cut on the left arm and collected the drop of blood into a single vessel mixed with wine. A marker now stands on the spot where Sikatuna and Legaspi allegedly sealed that famous compact. To honor this treaty of friendship, president Elpidio Quirino established the "Order of Sikatuna" in 1953, a presidential award and decoration conferred upon visiting dignitaries. During the Japanese occupation, the municipal government of Tagbilaran, whose mayor at the time was Manuel Espuelas, moved from the Poblacion to Tiptip. Another significant event was the Battle of Ubujan wherein a guerrilla unit under the command of Captain Francisco Salazar (aka Vicente Cubello) engaged Japanese troops against overwhelming odds. An earthquake with magnitude 7.2, with an epicenter near Sagbayan, Bohol, struck Bohol on 15 October 2013. Tagbilaran received four fatalities and 21 injuries, and damage to buildings, including the seaport, airport, and city hall. There are 15 barangays comprising Tagbilaran, with a population of 105,051 for the year 2015 census, and an annual growth rate of 1.57%. However, 44% of the city's population reside in the four urban districts where trade and commerce are also concentrated. In the 2016 electoral roll, it had 59,949 registered voters, meaning that 57% of the population are aged 18 and over. The city is governed locally by a mayor, although historically by a gobernadorcillo and presidente municipal afterwards. As the capital of Bohol, Tagbilaran is the main center for education in the province. All of the province's universities are located in the city as well as other well-known institutions of learning. The city is served with a mix of public and private health care institutions that also cater to the health needs of the rest of the province. Complex major cases and services are sent to nearby Cebu City due to lack of facilities. The city has the advantage of being the province's main business capital and center of governance, education and transportation. Local and international visitors to Bohol pass through the city via the Port of Tagbilaran and Tagbilaran Airport. Alturas Group (operator of Alturas Mall, Island City Mall and Plaza Marcela), Bohol Quality Corporation and Alvarez Group are some of the notable locally owned companies based in the city. Tagbilaran's land network consists of sealed and unsealed roads. Local transport plying the routes within the city are tricycles, multicabs, taxis, and jeepneys. Buses, taxis and vans are usually hired for out-of-town travel. The Integrated Bus Terminal (IBT) located in the city district of Dao serves as the terminal point for public transport vehicles serving the inter-city routes within the province and also serves as the embarkation point for passengers taking the Pan-Philippine Highway (AH26) bus route from Tagbilaran to Metro Manila. There is also a long-distance bus station within Cogon market. The city is linked by sea to the major port cities in the Visayas Islands and Mindanao, which of major commercial importance is its link to the regional capital of Cebu City. A fastcraft ferry ride to Cebu City takes approximately 2 hours depending on weather and sea conditions. The route is served by Ocean Jet, Weesam Express and SuperCat several times daily. Tagbilaran Airport serves as the principal gateway airport to the city and to the rest of the province. Airlines using the airport serve only the Tagbilaran-Manila route. The route is served by Cebu Pacific Air, PAL Express, AirAsia Zest and Tigerair Philippines using Airbus A319 and Airbus A320 planes. Travel time is approximately 1h:15. 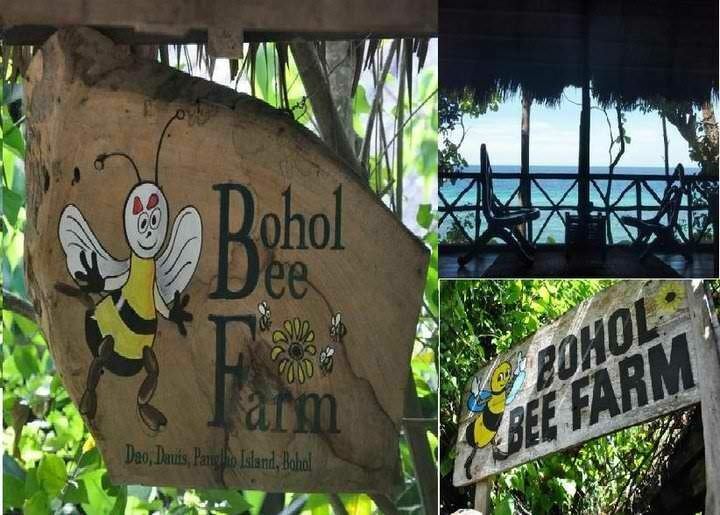 The city is a start-off point to Bohol province's attractions: the Chocolate Hills, tarsiers, white sandy beaches, dive spots, heritage sites and old stone churches. Home to several hotels, resorts, and restaurants, the city has recently become a venue for national conventions and gatherings. 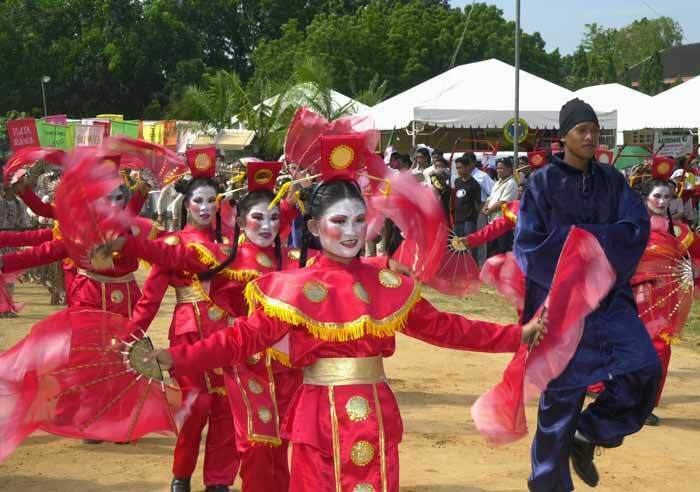 'Saulog-Tagbilaran Festival is a celebration every 20 April to 2 May. This includes street-dancing, fluvial procession, nightly activities, novena masses and beauty pageant. Tagbilaranon families invite relatives and friends for a lunch or dinner during desperas (visper) and katumanan (grand feast day 1 May). The Sandugo Festival is an annual celebration in Tagbilaran in commemoration of the blood compact between Miguel López de Legazpi and Datu Sikatuna in March 1565. The festival is celebrated every July to coincide with the month-long activities celebrating the city's Charter Day on 1 July and the Province's (Bohol) Day on 22 July.